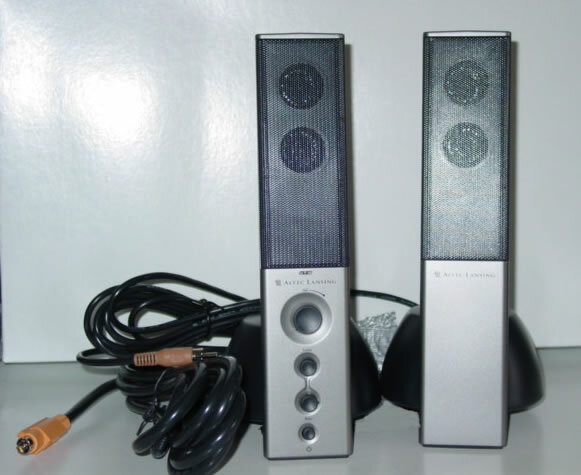 Altec Lansing VS4121 2.1 Speaker System (Audio) [Page: 1 of 2] - TACKtech Corp.
Altec Lansing has long been known for its high performance speaker systems. 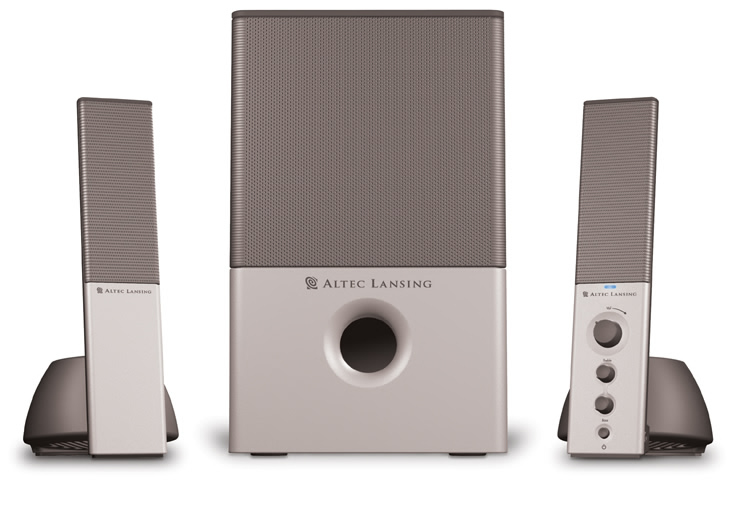 In this review, the Altec Lansing VS4121 will be tested to see if the product lives up to its reputation. 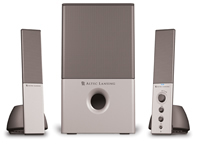 Altec Lansing’s newest addition to its line of compact computer speakers is the VS4121. The VS4121 is designed for home users that want a compact speaker system that can still provide high quality audio. It consists of two six watt speakers and a 6.25” 19 watt subwoofer. This speaker system also offers a few features; some of which include a headphone jack for when you would rather listen to your music privately; shielded satellite speakers so you may place your speakers near your monitor or other devices and have no conflicts; color coded cables for an easy installation; and many more features which I will discuss later. Setup of the VS4121 is fairly simple and straightforward. 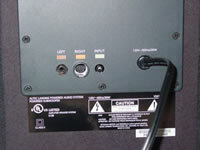 The labels on the subwoofer are clear, and you should be careful not to break any of the pins inside the cable connector when connecting the cable to the subwoofer. 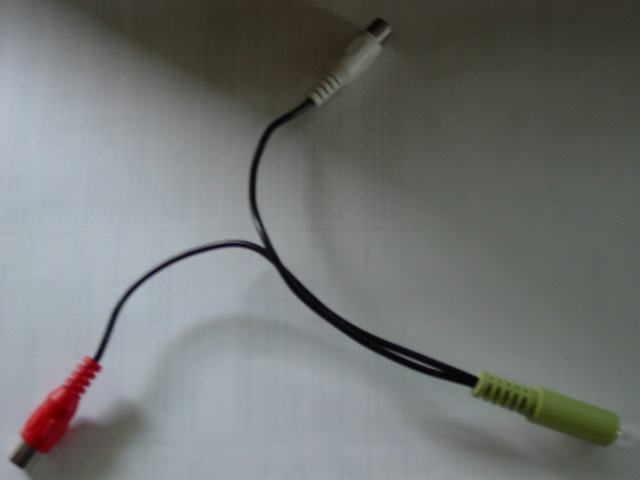 Then connect the input cable from the device you will be using whether it be a MP3 player, CD player, televisions, DVD players, computer, gaming device, or whatever the media device you will be using your speakers for. The devices can connect to the VS4121 though a 3.5 mm jack or by using an optional RCA jack to 3.55 mm converter (included with speakers). After you have done these steps you may turn on your speakers and adjust your volume, treble, bass and listen away. If you experience any technical difficulties you can consult the 16-page Altec Lansing VS4121 user’s guide. All the cables are also color coded so installation should be effortless. 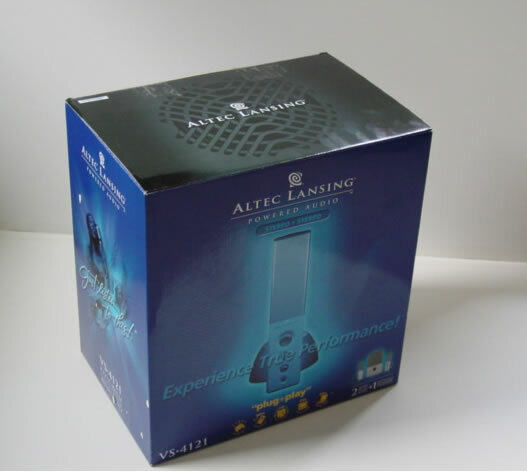 To test the performance of the Altec Lansing VS4121, I and others, listened to the following artist’s music: Eminem, System of a Down, Mindless Self Indulgence, The Cars, Beatles, Blue Man Group, Beethoven, and some other artists. We listened for any distortions from the speakers, feedback, how the audio sounds at different frequencies and so on. The devices I tested the audio on were my computer equipped with a Creative Labs Audigy 2 Platinum Sound Card and a Rio One MP3 Player. 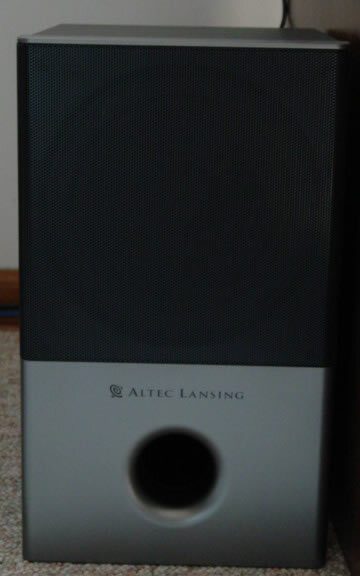 Right after I had set up my speakers where I liked them and turned on the system, I was very impressed with the quality of the music produced by the Altec Lansing VS4121. I could not believe this was 19-watt subwoofer and producing so much bass and was clear and excellent speakers as well! After listening to lots of music and discussing with others that were also listening to the music on these speakers we concluded that this speaker system was awesome it produced exceptional middle and high range frequencies and good low range frequencies but on a few songs I noticed just a tiny bit of distortion but barely noticeable unless you paid attention too it a lot. The sound performance was great but not as great as some of the expensive Klipsch speakers but still amazing for a 2.1 sound system. Then I began to play Unreal Tournament 2003 and Soldier of Fortune 2, and wow I was totally amazed! These new speakers sounded a LOT better than my old speakers . I could now hear the footsteps of the approaching enemies better and exactly where they were coming from. Also, with the VS4121 the audio on these games were more realistic with barely any distortion. I did not encounter any problems putting my speakers in between my dual monitors because these speakers are shielded. Overall, the performance of these speakers is excellent. They have exceptional power and impressive bass for a 19-watt subwoofer they are totally amazing and most frequencies are just so crystal clear!